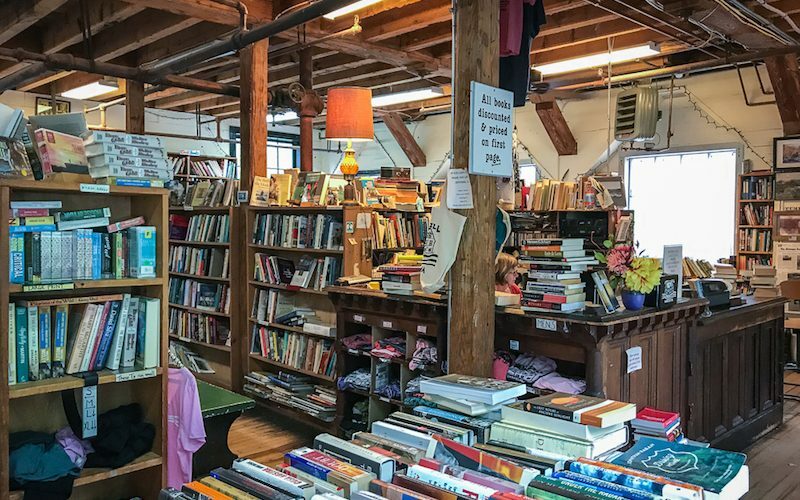 Northampton is a small city in western Massachusetts, full of arts and academia. It has a long history of counterculture and inclusivity. 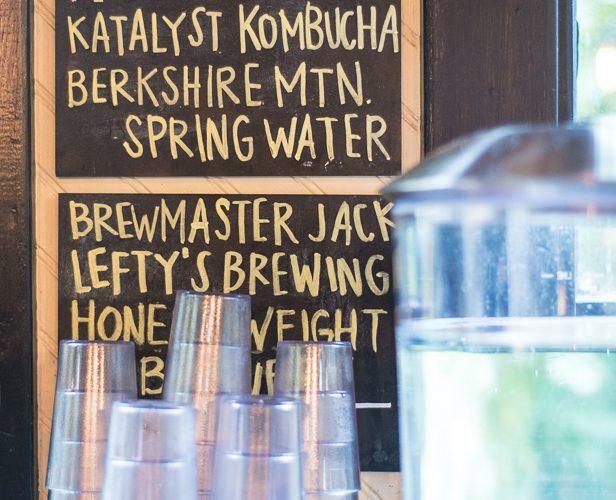 Glorious woodlands and organic farms surround, and the Berkshire Mountains are just beyond. But that’s not how we knitters see it. Nope. 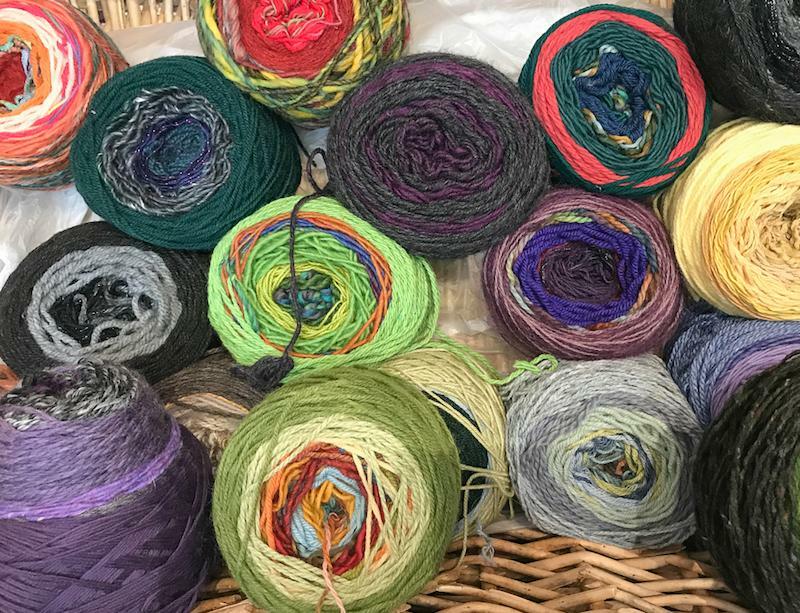 To knitters, Northampton is synonymous with the bricks and mortar home of an online yarn purveyor with lots and lots and lots of yarn. It’s wrong to leave your visit at just that. 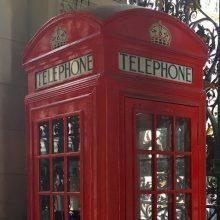 Join me for a knitter’s weekend in Northampton. 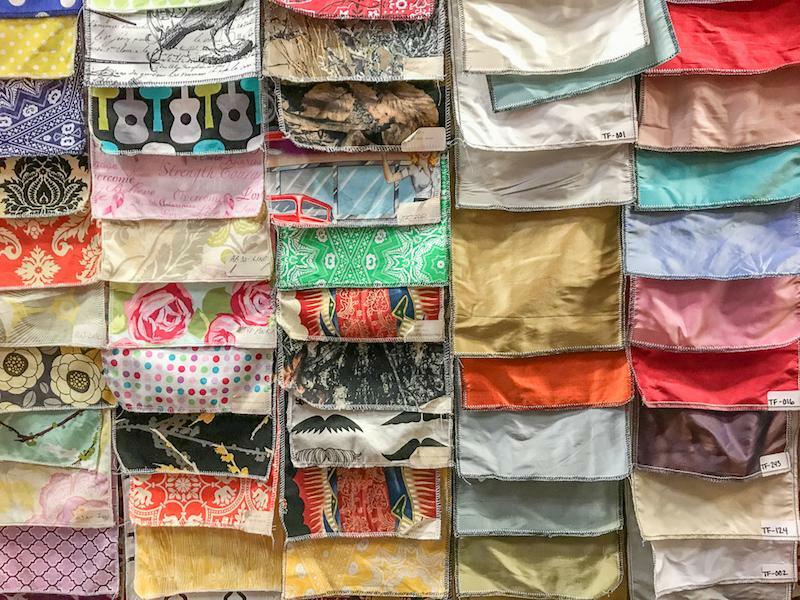 Who doesn’t love an old school fabric outlet? 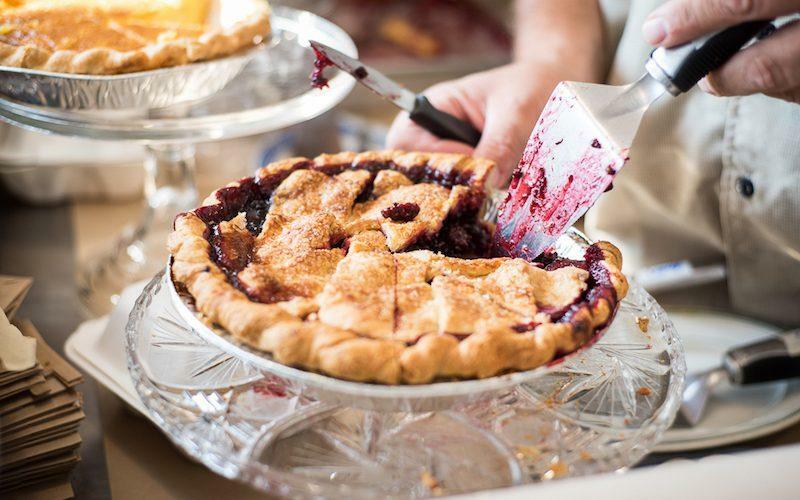 Osgood’s, in Springfield, is worth the detour from any direction. It’s nothing pretty on the industrial exterior. The staff is knowledgeable and friendly. By the time I left, we’d redesigned my living room in barkcloth (oh, to dream!). In reality, curtain fabric came home for less than half I’d budgeted. Obviously we are stopping by Webs, the aforementioned family-owned yarn business. Just south of downtown Northampton, Webs is a warehouse sized store in, well, a warehouse building. Here’s the plan: enter, do not look left or right, avert eyes from display after display…that colorwork hat and kit…NO! March to the back room. 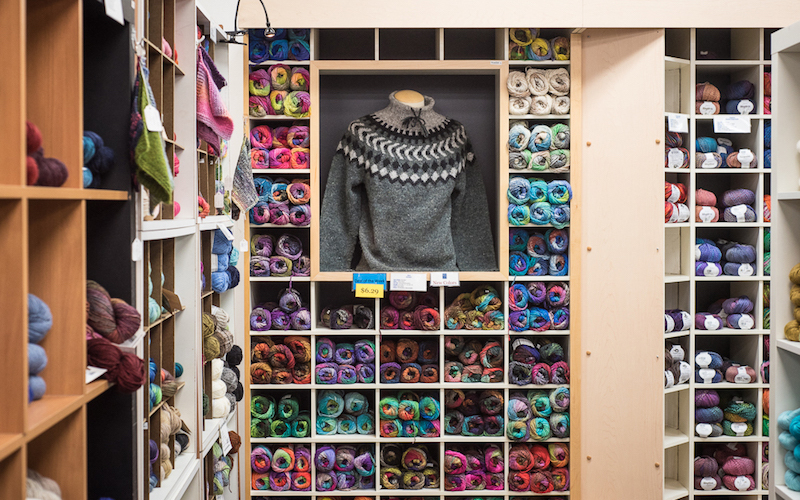 This is the inner sanctum— closeouts and discontinued yarns stacked on barebones metal shelving. 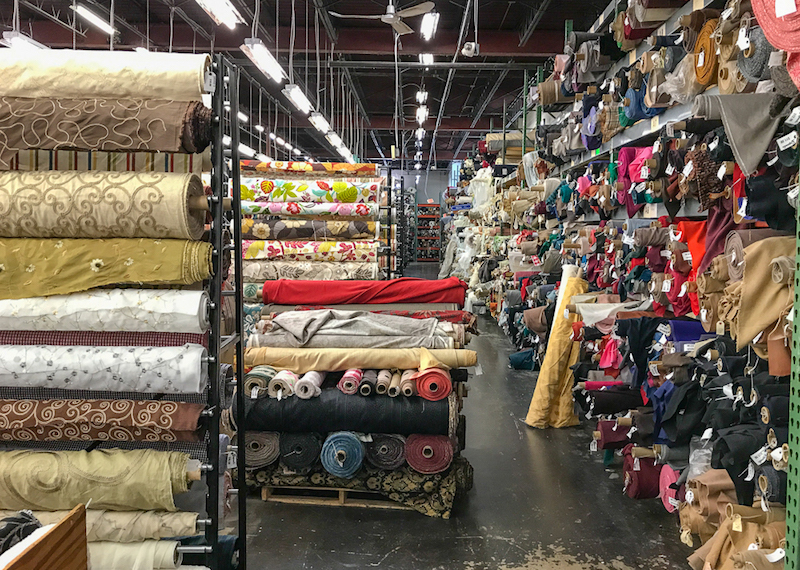 After trawling the back room aisles, retrace your way into the main showroom and revel in the space, the yarn and sample displays, the ALL of it all, including spinning and weaving. 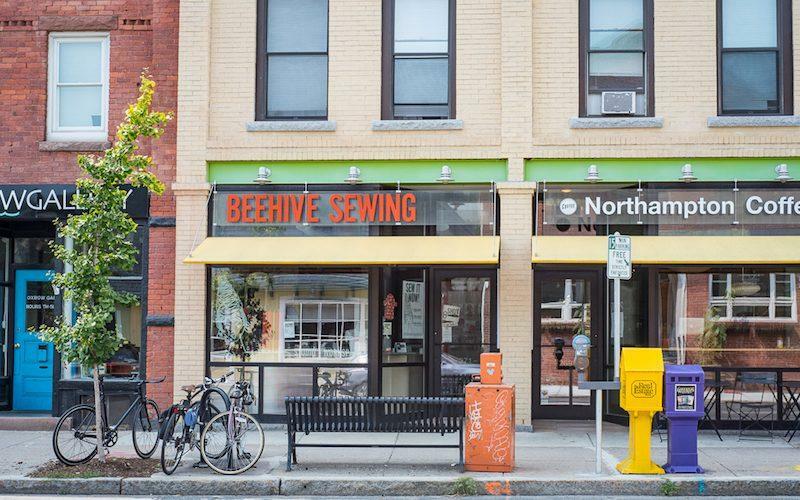 Next, head into town on Pleasant Street, stopping at Beehive Sewing Studio and Workspace — vintage fabric, new fabric, pre-cut kits, and a space to get your sewing going on their machines. (You can DIY on the spot or with a store provided Cheerleader.) They offer weekly project kits and drop-in sewing. Does your maker heart still yearn? 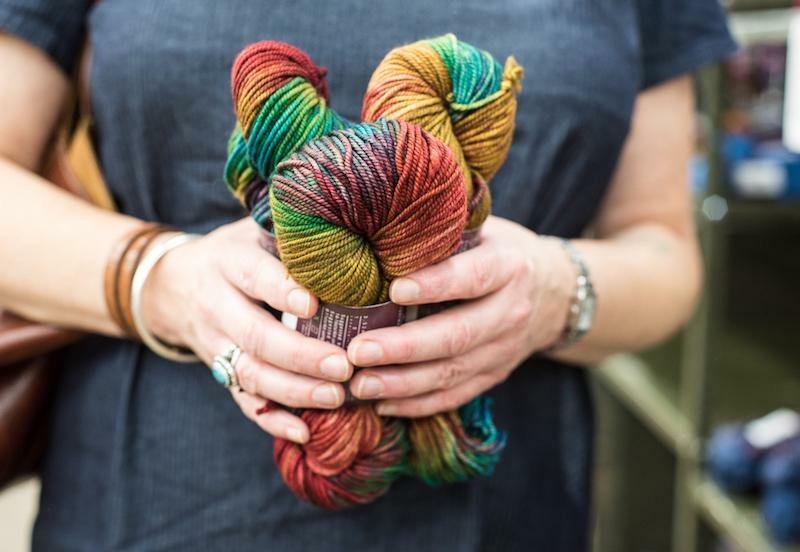 Perhaps the overwhelm of a large yarn store is not your jam? On Pleasant Street in the center of town is Northampton Wools. This cozy, wood-trimmed LYS welcomes with sidewalk baskets of wool. Inside, the displays charm. I fall hard for the handmade Trash Stash skeins . The owner creates these mixed mystery cakes, no two alike, which come with a cowl pattern (knit or crocheted). A souvenir project, for sure. 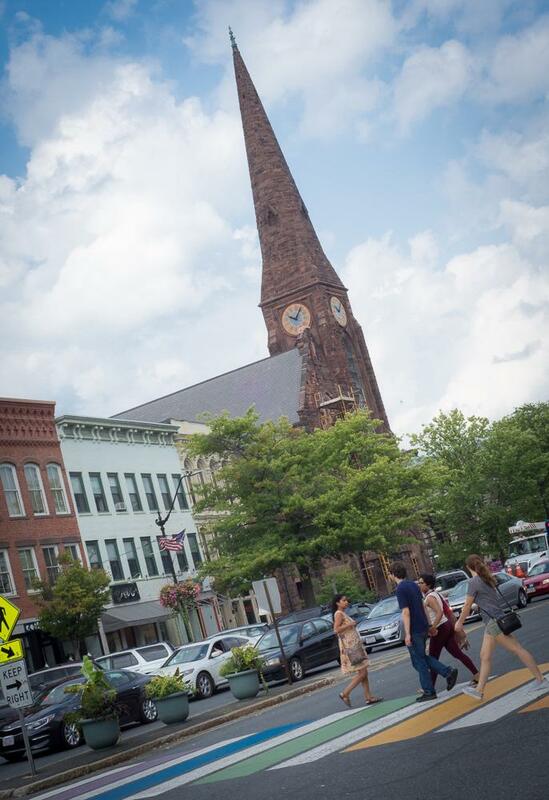 Downtown Northampton is bustling, pretty much all the time. 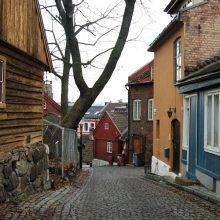 The criss-crossing hilly streets are lined with shops, galleries, and cafes. 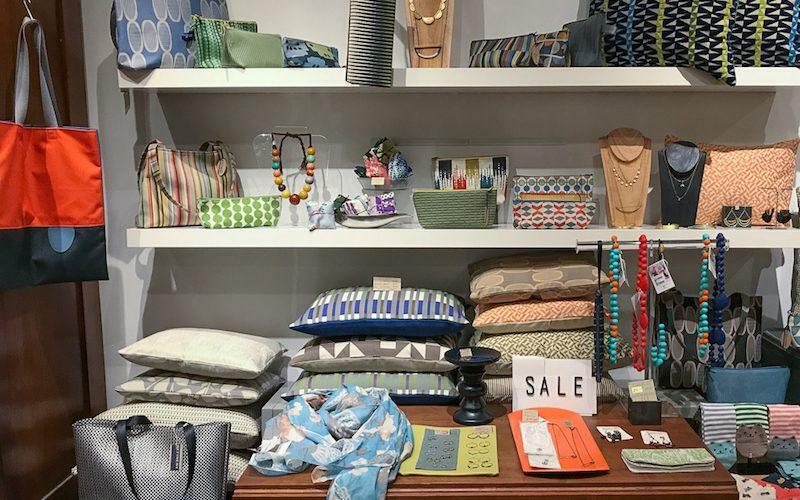 I see everything from old-school hippie import wear and clogs to upscale linen tunics, to chic shops with white walls and minimalist wares. Thornes Marketplace, a converted 19th century department store, is a good place to start. 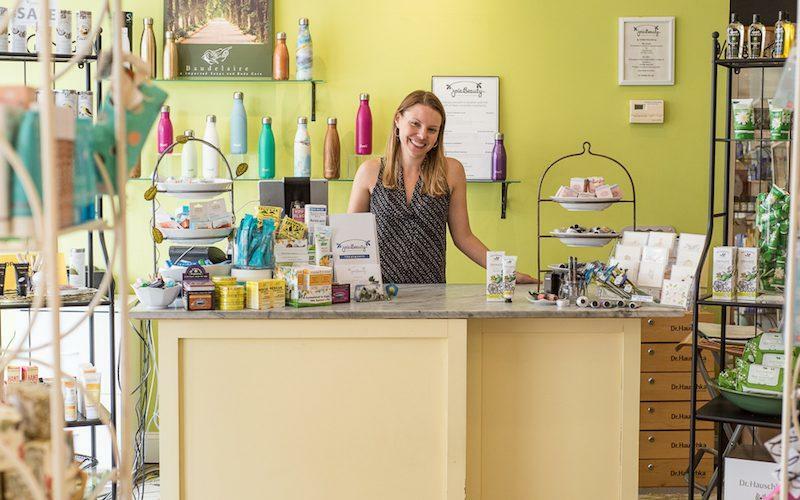 There’s handmade, locally-made, and the visible influence of Northampton’s sizable college-age population. In the warmer months, check out the excellent farmers’ market in the parking area behind Thornes. You might meet designer Kristen Nicholas, vending for her family farm. 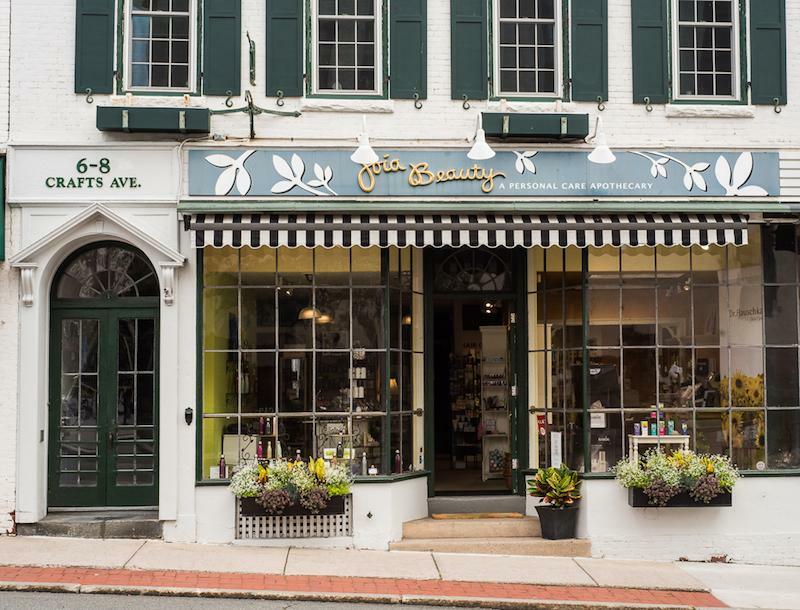 A knitter’s got to think of hands, so I head to Joia Beauty, a “Personal Care Apothecary” of natural cosmetics and body products. 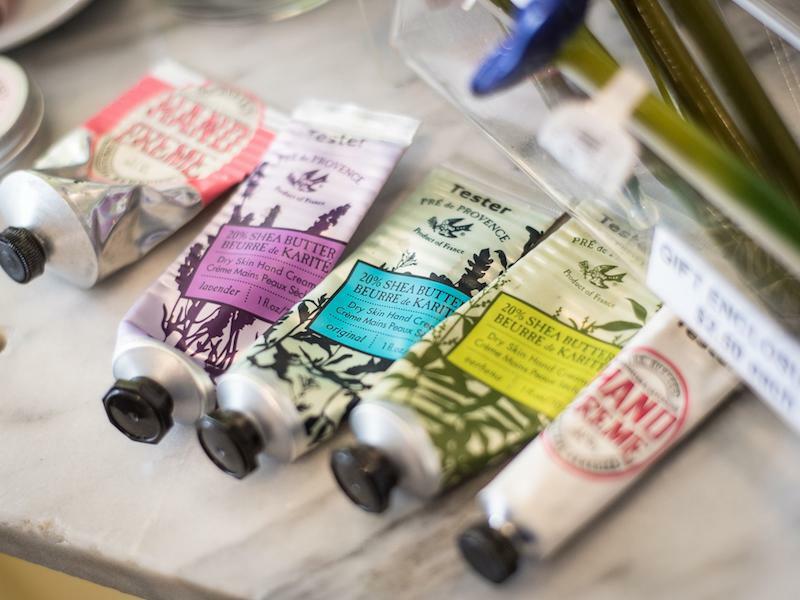 Joia herself is at the counter, recommending French hand cream that soaks in fast and isn’t greasy (aka, ideal). 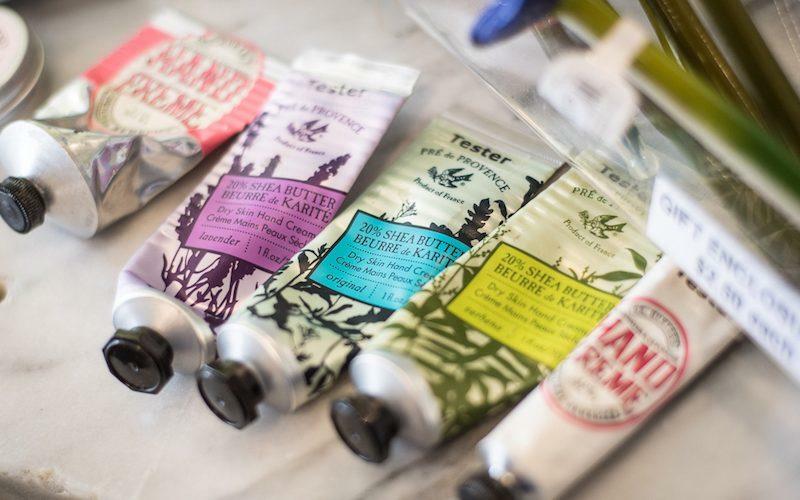 It may be the world’s most photogenic hand cream. Some nature would revive about now. 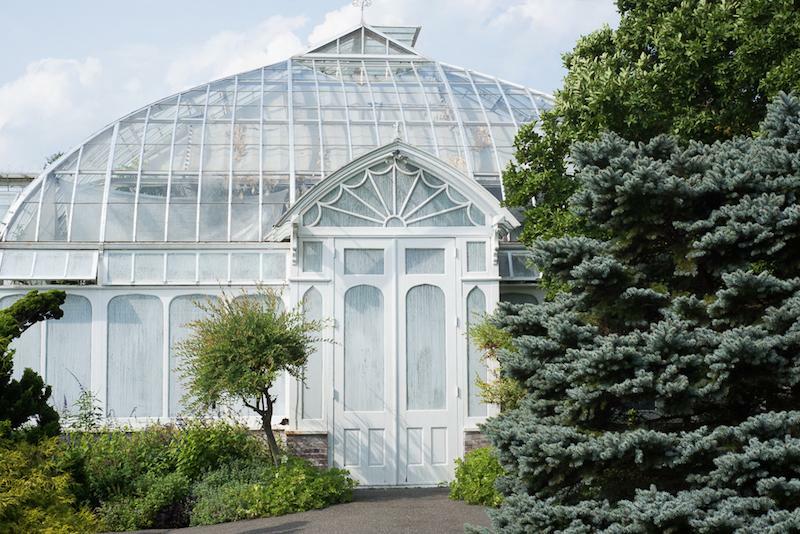 The Botanic Garden of Smith College is my next in-town visit . I’m partial to the succulents room, and the towering palms room. 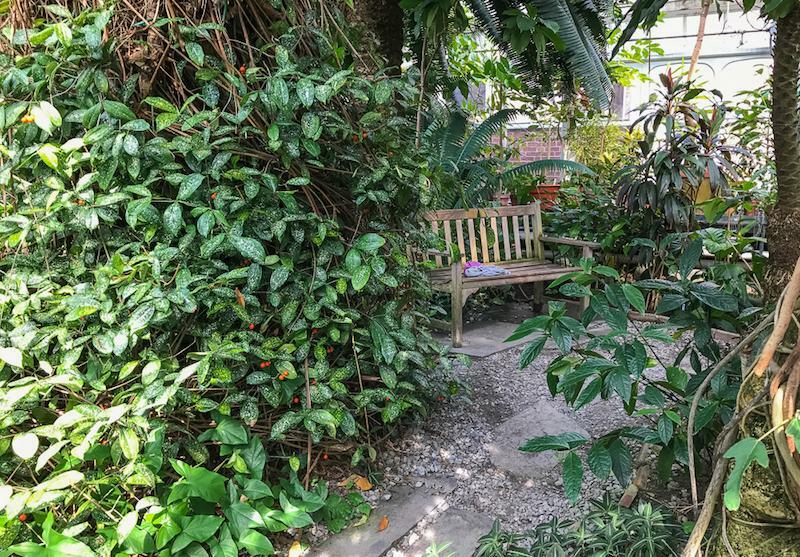 Great light, fabulous greenery year round, with the outdoor gardens to explore if weather is favorable. 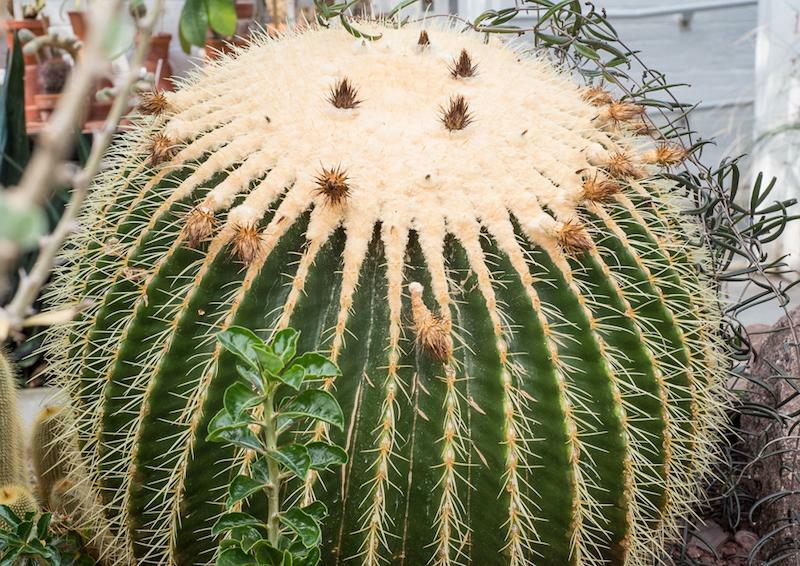 Maybe I have a one-track mind, but doesn’t that cactus looks like an excellent yoke for a color work sweater? 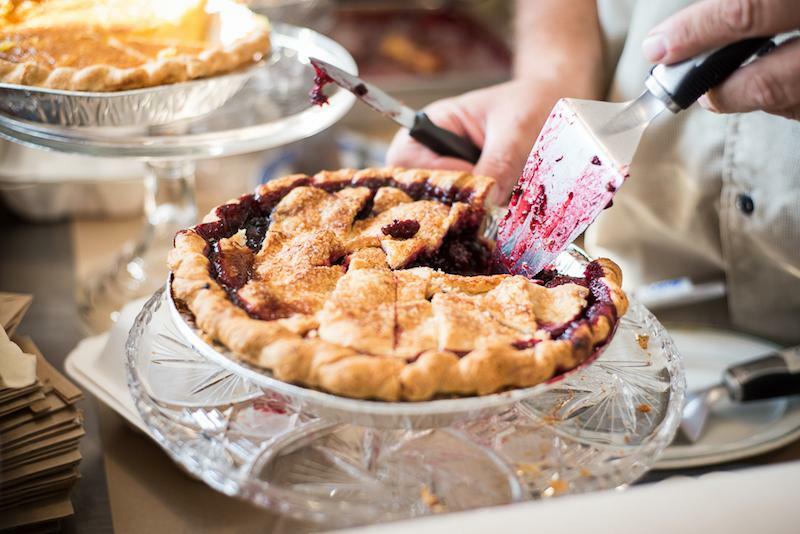 Northampton offers food for for all tastes, budgets and ethnicities. 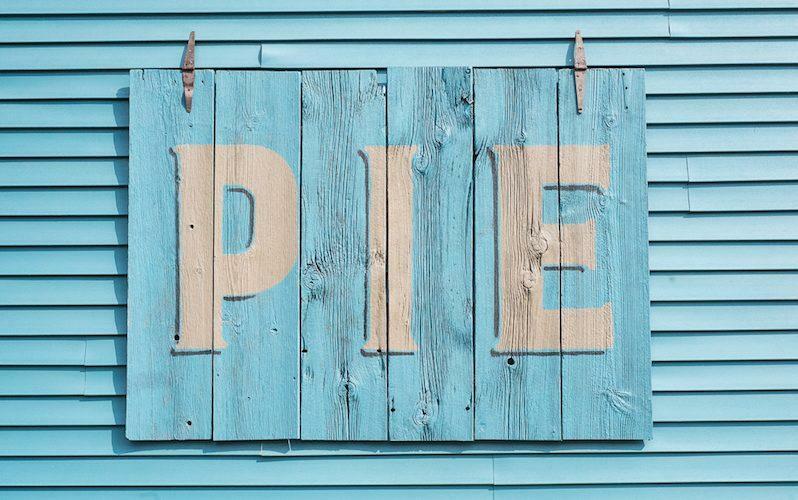 Choose as you will, but do not skip the Florence Pie Bar. It’s less than 3 miles to this tiny gem. I wind down the afternoon with a wedge of homemade pie, and fresh flowers on the table. Here, I sit and knit with impunity. I want to take the whole joint home with me. Including the sign. The next day, we head for the hills. 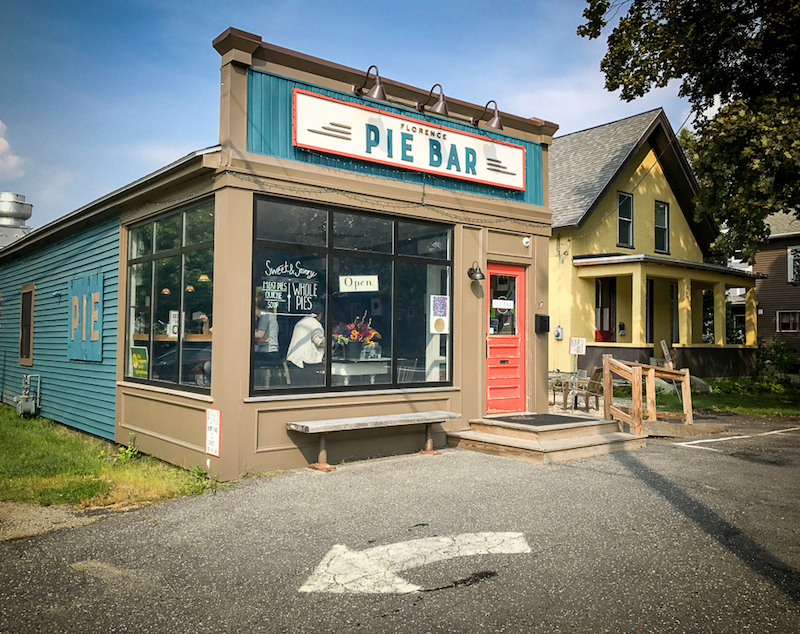 It’s easy to find hiking trails and farm stands, scenic views and historic sites in the Northampton area. I pass all of them driving northeast to Montague, 17 miles through countryside. 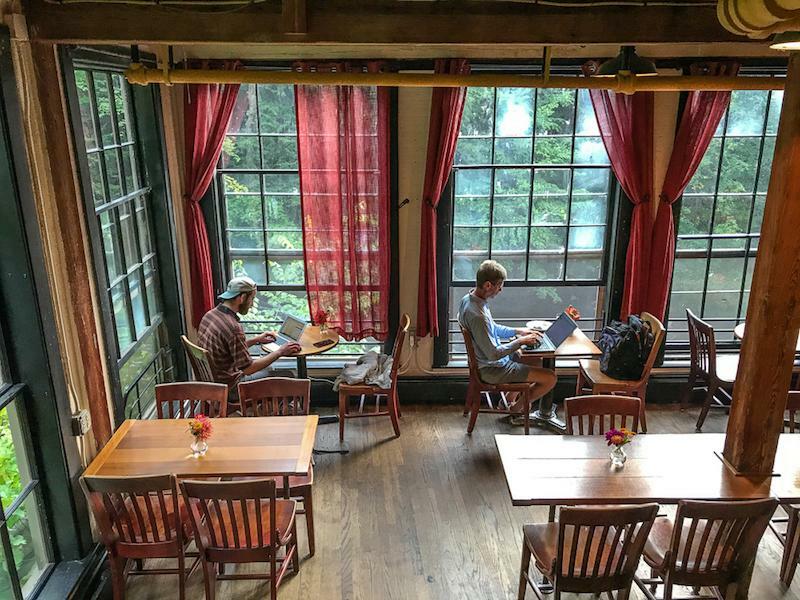 At the Montague Book Mill, whimsy and function dance a jig in a hippie-era architectural conversion. A covered bridge leads from the parking lot into the top level of a former gristmill. Inside are eccentrically shaped rooms on multiple levels, themed by book subject, all with seating. Nooks and crannies abound. Massive windows look out to the waterfalls, roaring in warm weather. It’s easy to settle in. I check the knitting shelf—some are tempting, some kitsch. 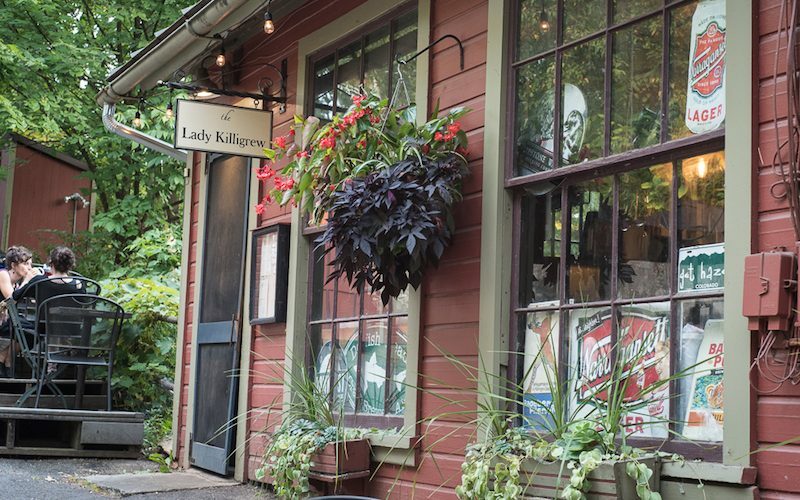 Along with book browsing there’s the light filled Lady Kiligrew cafe with coffee, good local food and brews. If there’s a downside to being a passionate knitter, it’s too much sitting on our down sides. Weather permitting, take advantage of the fantastic bike trails connecting the Northampton area through former rail beds. You’ll pedal through leafy corridors that occasionally cross a street. The trail is adjacent to all my first-day stops, threading through the towns. Rental bikes are available at Northampton Bicycle. Osgoods is not open on Saturdays. Webs is not open on Sundays. Many businesses close at 6 pm. Check for live music and arts events during your visit, there are some great venues, such as The Iron Horse. 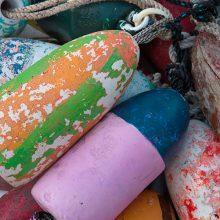 Empathetic is the word that comes to mind when thinking about Gale Zucker and her approach to photography. 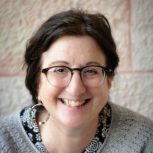 With a degree in photojournalism from the University of Minnesota, she has made a career of capturing the humanity and humor in the people and places that are her subjects. Among her endless credits are her books: photographer/co-author with Joan Tapper of Shear Spirit and Craft Activism. Her latest project is Drop-Dead Easy Knits, with co-authors Mary Lou Egan and Kirsten Kapur. Come fly with us! Armchair travel for armchair knitters. I really enjoyed this article. We made a “fast” stop at Webs en route to Stowe a few years ago (1 hour, I was with the husband) but hope to make a trip to Northampton again because it seems like a really awesome place! I am ready to go! Thanks for a great mini get a way. Ahhhh . . . my (non-beach) happy place. Thanks, Gale. I wanted to stop a couple of weeks ago when I was driving home from visiting my son in Boston. I had to drastically change my route due to the first of the March Nor’easters. After reading your article sounds like I will be better prepared to stop next time threw! Thank you for the great information on this wonderful area! Wonderfully written; exquisite photography! My only issue is that a trip like this would likely be even more expensive (read: shopping) than the LYS Tour in western Washington. But isn’t that an integral part of a knitter’s stash? Remembering the trip where you found that oh-so-luscious yarn you couldn’t bear to not take home? I frequent Webs many times a year and LOVE it! Just a suggestion for the “newbie” to this fabulous store…you could easily spend the better part of the day in it! I usually plan a two-three day trip to hit all the treasures you mentioned. If it weren’t for the long winters and very hot summers, I would move to this great city in a nano-second!!! Have I told you yet just how much I love Northampton? It would be a shame to visit Northampton without a short (less than 8 mile) detour to Amherst, and a visit to the homestead of Emily Dickinson and her family. Intriguing, evocative, moving. There are low-keyed, knowledgeable guides to the houses and grounds. And the gift shop gem without which you cannot go home is “The Gardens of Emily Dickinson,” by Judith Farr, a book which explores the inner life as well as the extraordinary horticulture of the so-called “Belle of Amherst.” For an Amherst overnight, I’d recommend the Allen House, a B&B just across from the Dickinson homestead. (Period furnishings, lavish breakfasts, the nicest hosts.) 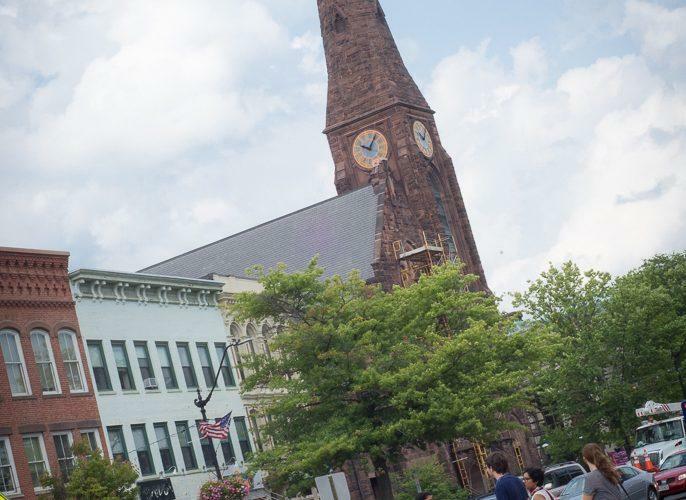 Amherst is another college town with a walkable downtown and lots of cafes. And only a few minutes from Webs. For 10 years a group of knitters had a weekend in Northampton. Most of us(11) did not know each other. We met on line and we collectively decided that we needed a knitters weekend. By the end of our first weekend we were all friends and remain so today. Our main goal was Webs and our stashes show it. I once stopped there with my husband and he rightly called Webs the Costco of yarn. Their staff is superb. Northampton is a great town and your suggestions are right on!!! 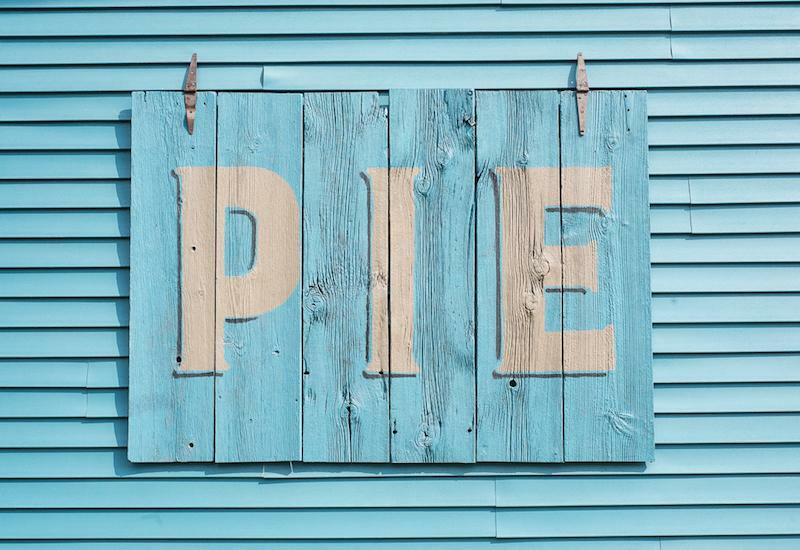 How can I have never been to Webs, or had that pie! Another lovely, tempting travelogue. 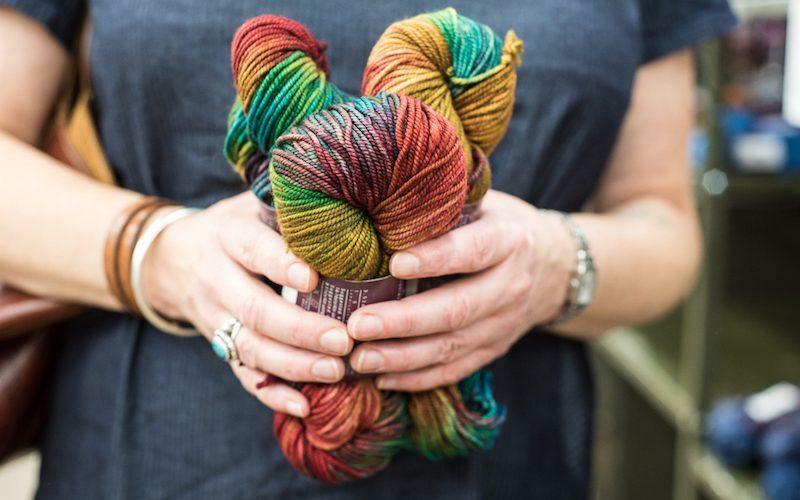 The Trash Stash skein with pattern idea is genius. Added this trip on my to do list. One of my favorite parts of the world. I landed there for few years once upon a time and it was a sanctuary. Laura, I graduated from Smith, too (more than FIFTY years ago!). The last time I was there for a reunion, my car had non-knitting passengers who grudgingly allowed me maybe 15 minutes at WEBS. 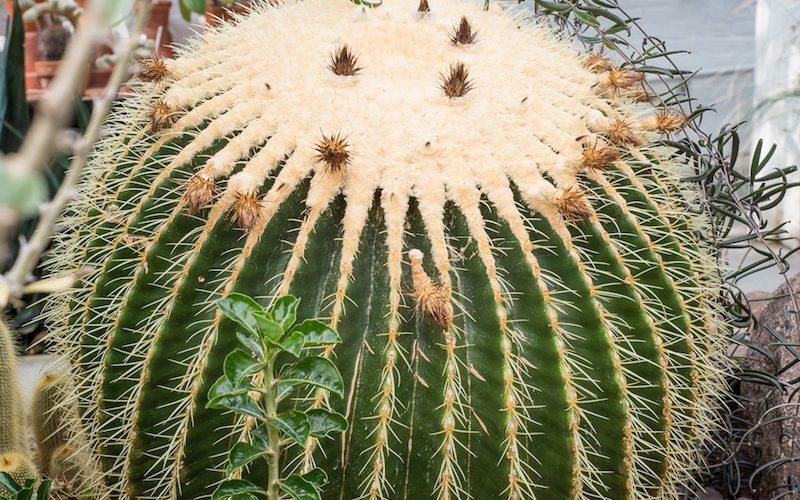 And no reunion is complete without a visit to the Botanic Gardens and greenhouses on campus; I often left with a little pinched-off cutting from something lovely in my pocket (obtained with great stealth), in the hope of rooting it. Never successfully… MUST get back there again! The town has changed a lot, but the vibe is still really good. As a resident of Western Mass, you have hit most of the treasures of the area, but there are many ‘jewels’. Webs is THE best of yarn shops! It’s so great to see what else there is to see! I get to WEBS maybe twice a year in a good year, and I’m always in a hurry because I’m trying to squeeze in the trip when my kids are at school. But this is convincing me to spend some real time in the area with my person when we have a day off. I love all of Gale’s trips but this one really makes me want to get in the car and head to Northampton today! I am from New England and everything about her visit made me homesick. Next trip to New England i need to carve out time for Northampton, and rent a bike. As a Northampton resident since 1980 I thank you for this lovely boost to our wonderful little city – it is a magical place. Beyond the shopping & eating, which is admittedly great, Northampton has a feel about it – welcoming & open-minded. Yes, you will find upscale shops, but you will also find discount ones (check out Acme Surplus in the basement of Thornes or the not-for-profit, volunteer staffed 10,000 Villages), and yes, you will find well-heeled residents and visitors, but you will also see street musicians and poor people asking for money. It’s a little unsettling sometimes, but whether we like it or not, people come from all over Western Mass to our town because our city government leaves them alone unless they cause a disturbance. And yes, there is art & music galore (check out The Parlor Room, a newer venue giving the Iron Horse a run for its money), but there are also marches & political posters and (mostly) constructive conflict that is visible, not hidden away for tourists. I could go on, but suffice to say that I LOVE Northampton, and I LOVE Western Mass, come and visit & you will too! Thanks again MDK, I am a huge fan of your blog. I live within a couple hours of Northampton and make it a point to visit at least a few times a year–sometimes even without planning a trip to WEBS, although I usually end up stopping by to make sure I’m not missing anything! I agree with others who have suggested Herrell’s Ice Cream, and the restaurant above it, Paul and Elizabeth’s has been my favorite vegetarian restaurant anywhere since I first visited back when I was in college. I usually spend a full day in NoHo, but if I lived further away (which I will be soon, alas) I’d make it a weekend trip because there are so many good little restaurants and small shops to explore, and great music to be had in the evenings at the Iron Horse. Gale’s post, and the accompanying comments, only reach the tip of the iceberg of what Northampton and the surrounding area have to offer! Terrific article! 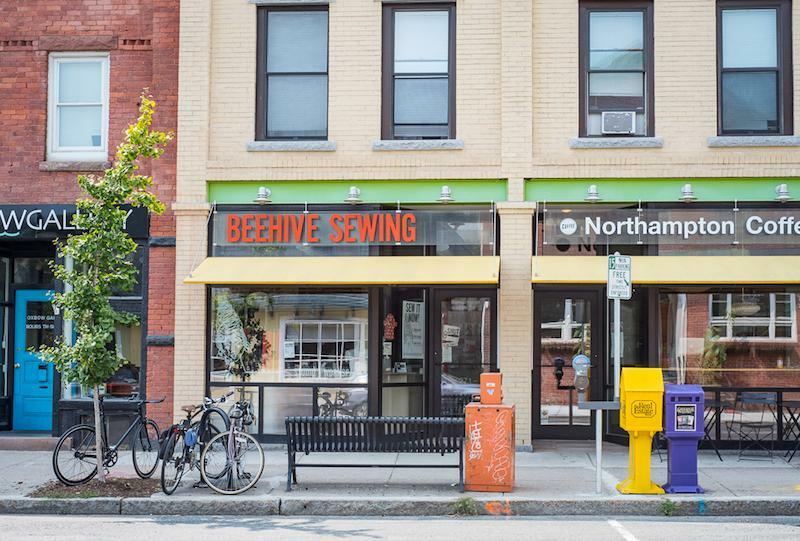 Beehive Sewing is relocating from Pleasant St. though (new site TBA), but a blast form the past Quilting store, Valley Fabrics is re-opening at the end of March in Northampton at 881 N King St just a few miles north of both WEBS and Northampton Wools. Um, Herrells! Chocolate. Pudding. Ice cream. I’m a Northampton knitter; I’ve loved living here for 40 years. Thanks so much for this piece! I’d have added a few other spots like Broadside Books right on Main Street downtown. Others have mentioned the soon to re-open Valley Fabrics out on North King Street and Herrell’s Ice Cream. 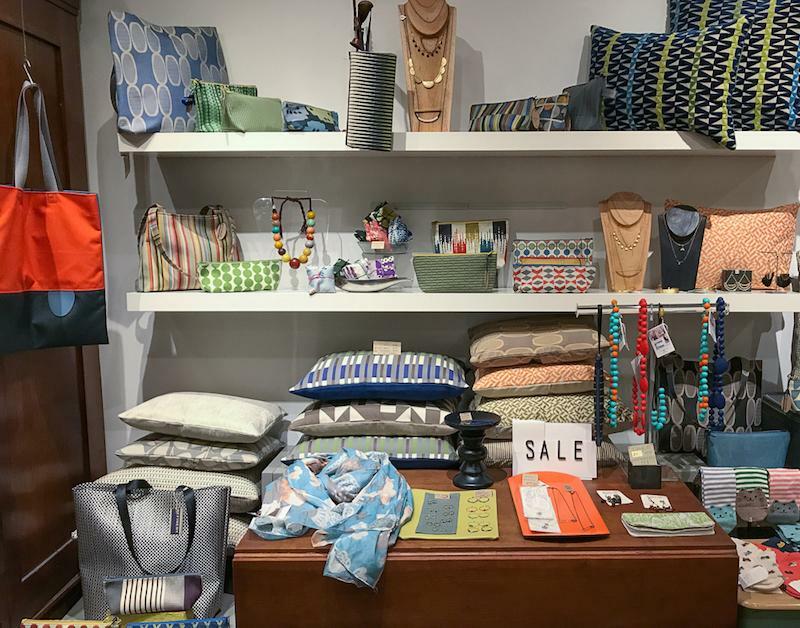 As for a good time to visit, why not make Northampton your home base for the I-91 Shop Hop the weekend of June 21-24 this year? You’ll find the event on Facebook. 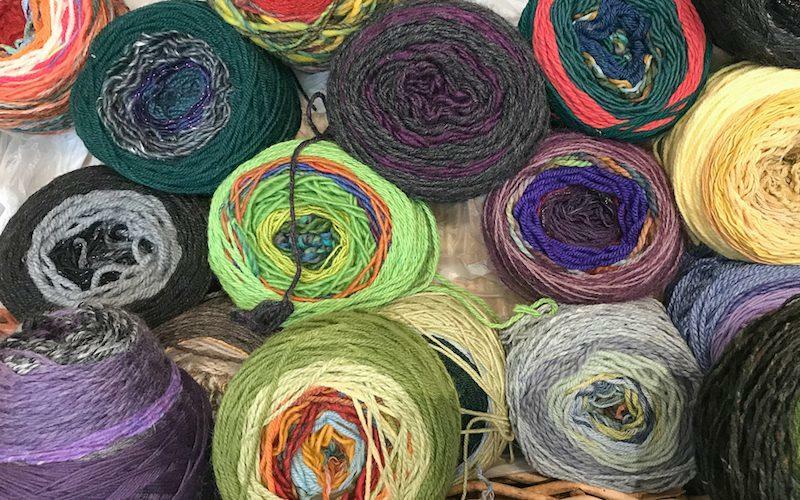 You can live in a town with the wonderful Northampton Wools and the cavernous Webs and still find different and surprising yarns in the lovely little yarn shops up and down 91 from Vermont down through Connecticut. On the other hand, there is so much to do in and around Northampton! Thanks for sharing all this information about a wonderful trip. It’s on my list of places to visit. I want to be there! Right now! This article make the place sound like magic! Now I must go! I live in Northampton and while not a knitter, I sew and do other fiber crafting from time to time. Your article is fantastic!!! 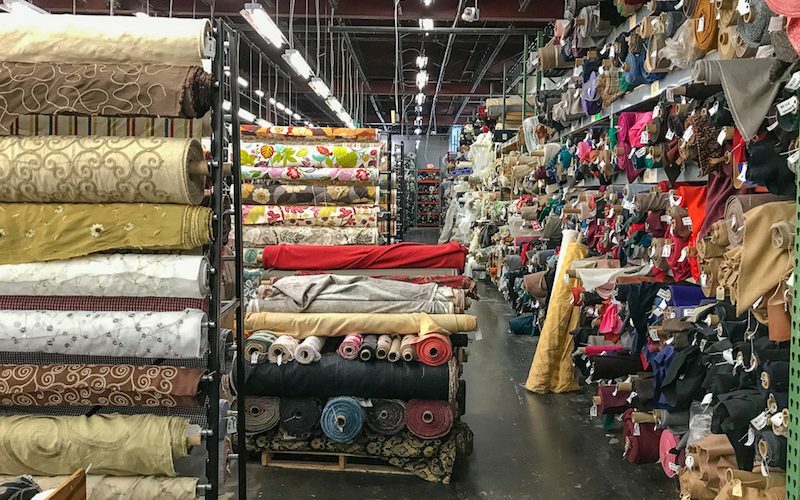 Many of us who live here do make the short trek to Osgood’s in West Springfield because of its amazing selection, prices and bargain bins, while many others here aren’t aware of how lucky we are to have an old-school family owned discount fabric warehouse so close by. 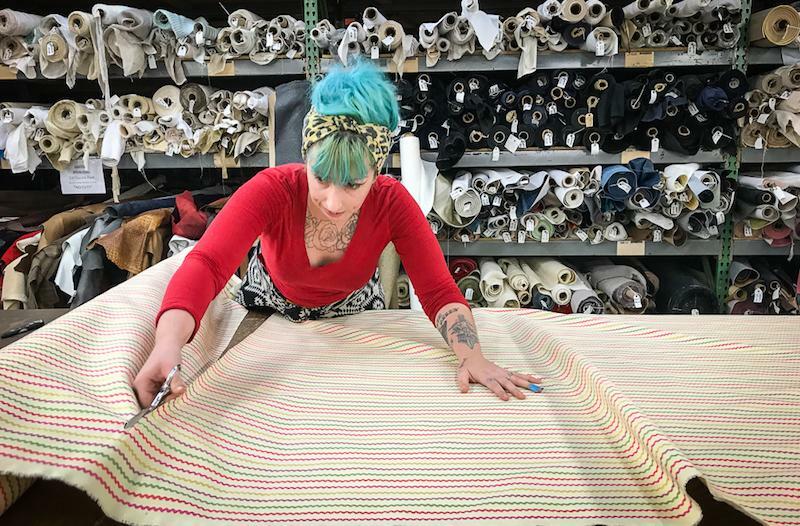 I want to add one more stop to your excellent itinerary: Valley Fabrics in Northampton. 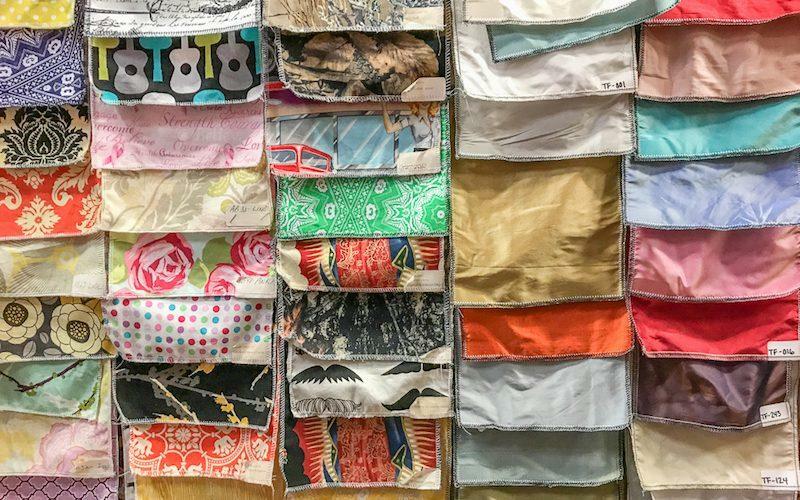 VF was a fabulous modern quilt and fabric shop that ran from 2004-2010 — after an eight year hiatus doing other things, the owner is reopening on March 23, 2018 (next week!) in a new space just off I-91 South with lots of free parking. Easy and direct ride from downtown to the new shop at 881 North King Street…if you’re hungry, you will pass right by our food co-op supermarket, River Valley Co-op, on your way to Valley Fabrics from downtown. Full service deli, eat-in area. Congrats on such a great piece. Put me on your mailing list !!!! Thank you for such a wonderful article about my hometown. 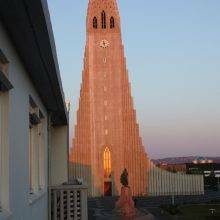 There is one more wonderful place to visit. The Mohawk trail. Which is route 2 off of the rt 91 greenfield exit. It brings you to a small town called shelburne falls. It has a beautiful bridge of flowers which is a site to see in the summer. 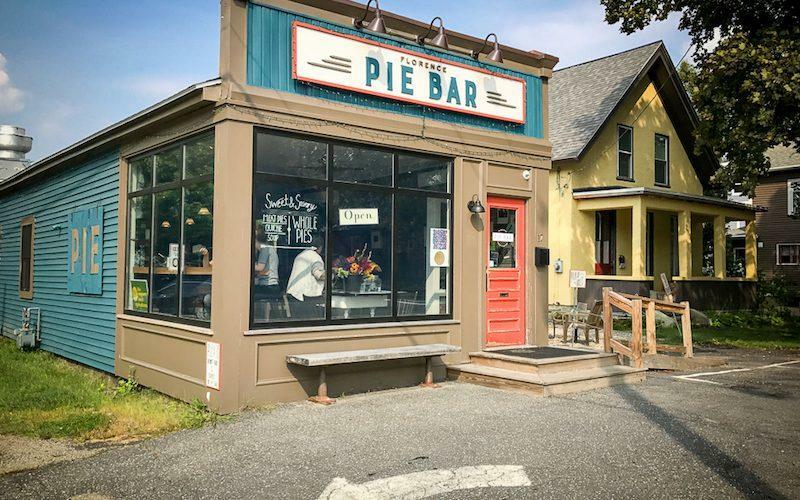 It is a walk-in path over the water and the small town of shelburne falls is quaint. Maybe for your next visit. Lovely article about Northampton! 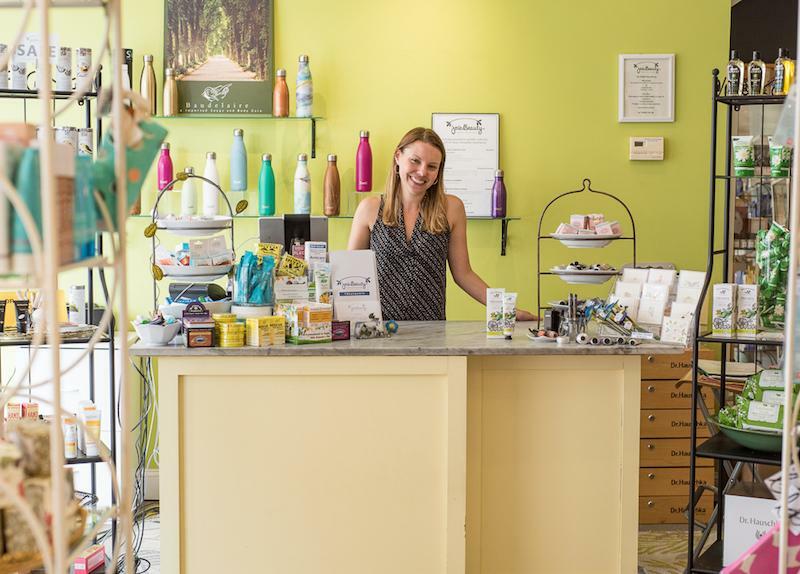 Gale, next time you’re in the area, we’d love for you to come visit South Deerfield (closer than Montague) and our nearly 5-year-old yarn shop Sheep & Shawl! We focus on natural fibers, promote local and regional fiber farmers and fiber artists, and have a wonderful community of crafters here. Thanks for the travelogues you create! For years we lived within a short driving distance from North Hampton and we spent many afternoons wandering the town and visiting the fantastic little shops and restaurants. We celebrated there one very, very cold New Year’s Eve. Then we moved to Arizona and I learned to knit and spin. To think I never visited Webs during all those years. Now my daughter plans trips to Webs when I visit. My grandchildren love pulling me through to the backroom and picking out yarn. I’m ready to go back!!!! I gotta hand it to Northampton Wools. Just going by my online experience, I would’ve thought that Webs would be a black hole, sucking in any LYS within driving distance. Someday I will have to visit Northampton. It sounds like a great town. 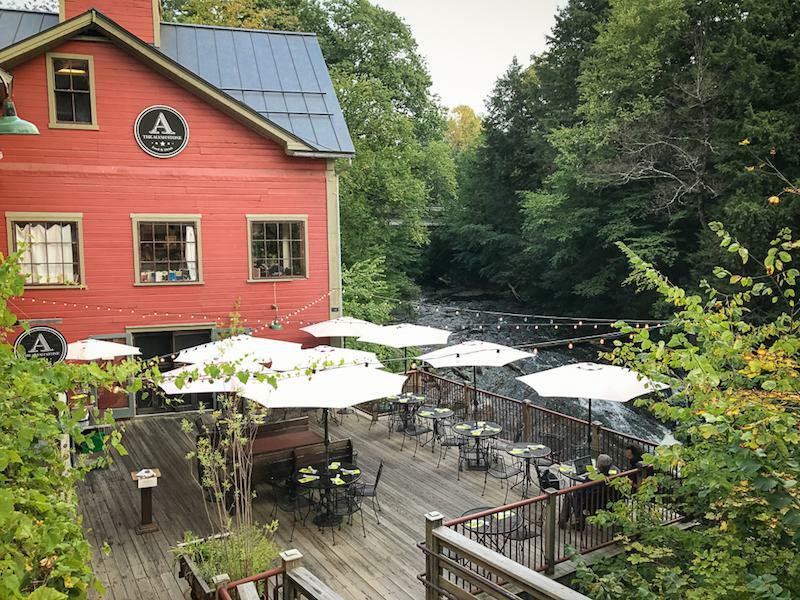 A wonderful travel article and I will be adding a trip to Montague on my way to the Berkshires. The Back Room of Webs is the best! And the staff are so helpful. I make a yearly pilgrimage. So now I’ll have to check out some of the other places, thanks for the review! Sadly, Beehive Sewing just closed. But Valley Fabrics returned! VF is a must stop for quilters almost on the Hatfield line. This makes me want to come back home, even if it’s just for an extended visit. Easily one of the best little articles about the greater Northampton area and many of its fantastic sites. 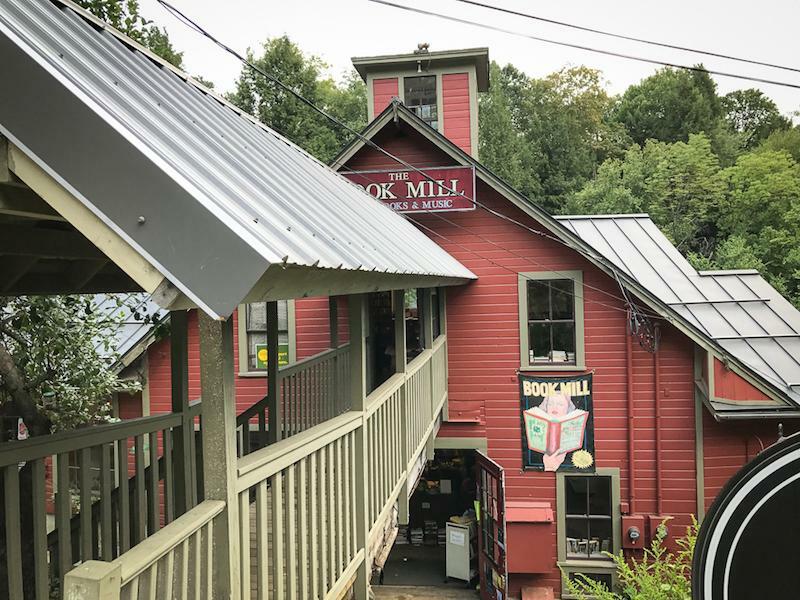 I had heard of the Montague Book Mill, but had NEVER visited it … until now. 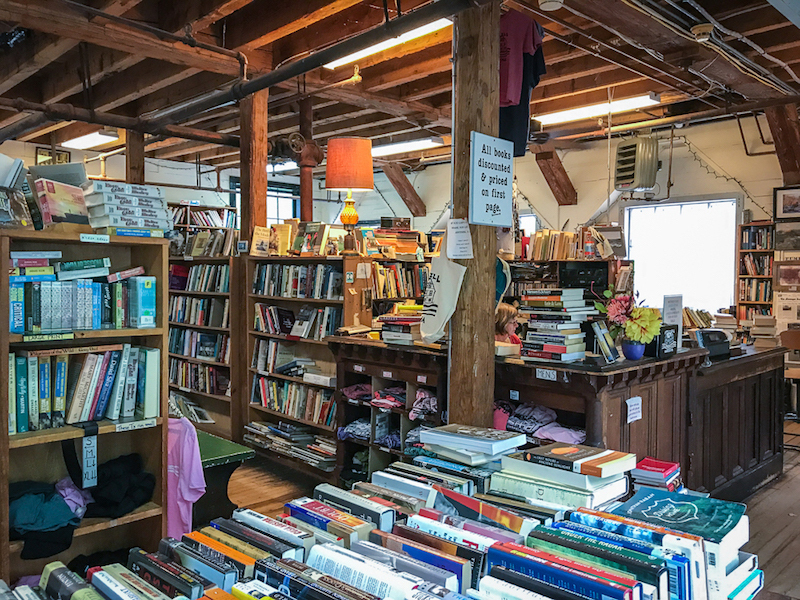 Next year I will be moving to the a small town nearby, and I can see spending MUCH TIME in the Book Mill in my future. 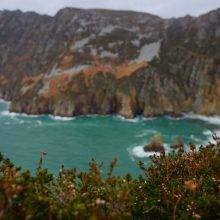 You managed to mention most of the top draws of the area so beautifully, with wonderful, gorgeous photographs. Thank you! Those of us who live within driving distance (for me, 1 hour) from WEBS have a problem- we can’t knit fast enough! It is a fabulous place. The fiber weekend in May a combined with the tent sale is irresistible.